It is important to remind Ekweremadu and others who have climbed to high heights in politics that where they have got to is a product of the hand of God. I am not a fan of the social media. And I have little or no respect for the motley crowd that populate that space. Yet, I find myself, unavoidably, hooked to this riotous breed that pose as journalists. You cannot but interface with them, if you are in the business of information gathering, management and dissemination. However, I approach issues in the social media with a high level circumspection. I do not rely on stories or rumours that issue forth from the multiple platforms that make up the new media. I always insist on having any story from the social media confirmed by the conventional, mainstream media before acting on it. 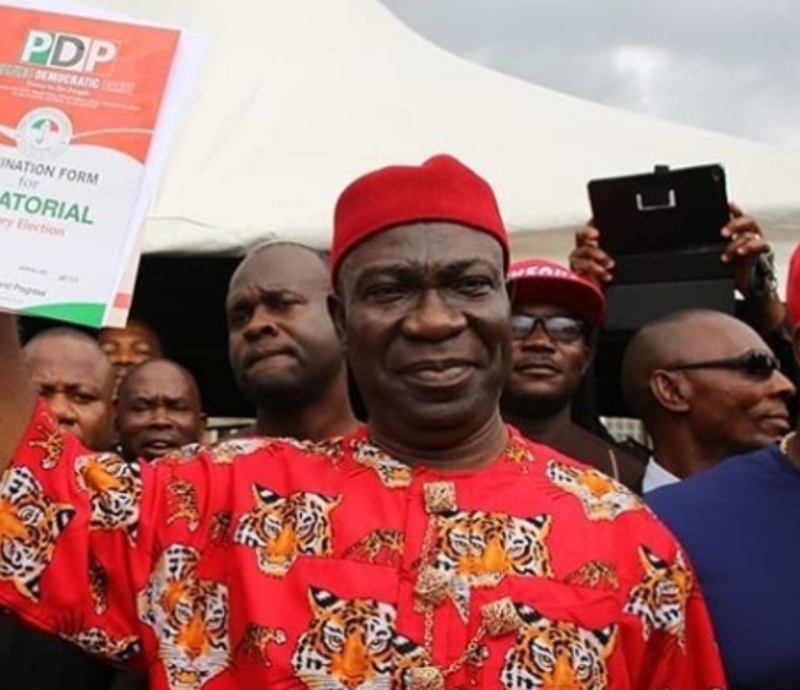 It was this disposition that guided me when rumours started making the rounds that the Deputy President of the Senate, Ike Ekweremadu, was contemplating leaving the Peoples Democratic Party (PDP) on account of the fact that he was not chosen as the vice presidential candidate of the party in the 2019 general election. After days of speculation, the conventional media has finally given us something to rely on. It has reported that Ekweremadu has denied the rumour as untenable. I am guided further in this matter by the truism that there is no smoke without fire. Having read what Ekweremadu had to say in his rebuttal, I am convinced that there was substance in that rumour. There must have been subterranean or covert moves that gave rise to the speculation. That was why the denial was not dismissive. Rather, it was pedantic. It tried to explain. And in doing that the senator went fatalistic. He said his politics has been in the hands of Almighty God who, he said, has been faithful and gracious to him. Having conceded all to God, the senator then went polemical. He tried to preach to us and to sell his vision in politics. In all, he advocates a system that works for everybody and every section or tribe. From the foregoing, it is evident that something was the matter. The senator was trying to carry us along; to explain why things are what they are. In other words, it is truly the case that the senator was worried that he was not chosen as Atiku Abubakar’s running mate. This feeling by Ekweremadu takes us back to an issue we would have loved to side-step in order not to be distracted by inanities. But I think it will serve the cause of all if the issue is properly dissected and thrashed out. From the way Ekweremadu sounded, we can now say that there are two dimensions to the issue of choice of a vice presidential candidate from the South East by the PDP. The first derives from the objections of those who said they were not consulted before the decision was taken. The second has to do with the feeling of those (like Ekweremadu) who feel that the choice should have been them rather than the one that has been chosen. We are already familiar with the first issue. Here, we heard one or two leaders of the South East argue that they were not consulted before Atiku decided to settle for the former governor of Anambra State, Peter Obi. The leaders in question also objected to the fact that the shortlist of possible vice presidential candidates from the South East left out Imo and Ebonyi states. They have, however, assured that they were never opposed to the choice of Obi. What they were against, according to them, was the process leading to his choice. Those concerned have since assured them that no harm was intended and that there was no deliberate attempt to ignore anybody in the matter. is about quota. Every segment must have its separate chunk in the sharing formula. This thinking is reductionist, to say the least. The slot, as decided by the PDP, is for the South East. Once the choice is made from the zone, the party would have fulfilled its obligation to the South East. The segment of the zone that produces the candidate is immaterial. Those whose responsibility it is to make such decision are usually guided by merit and other worthy considerations. Quota or state of origin is not one of them. We must remind ourselves of the fact that, in the larger Nigerian set-up, one of the systems or practices that have retarded our progress as a country is the quota system. It sacrifices merit on the altar of mediocrity. If we are against it at the national level, we should do well to live above that disability at our local level. Significantly, no one from Imo State has raised objection about the state’s exclusion from the shortlist. The people of Imo will not do that because they appreciate the fact that it does not matter which segment of the South East produces the candidate. What matters is the quality of the person chosen. If anybody is objecting from Ebonyi State, we can only ask the person to broaden his or her horizon and recognise and appreciate the fact that the collective interest of the Igbo is more paramount than any sectional consideration. if he was not chosen as vice presidential candidate at this time, it is because that is not the plan of God for him. This manner of thinking should have guided him. But it is evident that it did not. That was why he felt bad to the extent of contemplating leaving the PDP. The impression we get from here is that the senator feels he is the most qualified person from the South East to occupy the position under consideration. So, he must have felt outraged that the PDP, in its wildest imagination, considered leaving him out in preference for someone else. This must be the hang-up that almost drove the senator into frenzy. But I am delighted that he has called himself to order. It is important to remind Ekweremadu and some others who have climbed to high heights in politics that where they have got to is a product of the divine hand of God. You are not where you are because you are the smartest person around. There are smarter, more intelligent and more accomplished people who may not have such a breakthrough in politics. That does not make them any less important than the Ekweremadus of the South East. Therefore, those who have been favoured by the turn of events, which we believe is propelled by God, should be humble about it. They should not assume too much. If we appreciate this fact of life, we will not fret or pine away over whatever that may have eluded us. If we subject ourselves to the will of God for us, we will ever remain grateful for whatever that we have accomplished. I invite Ekweremadu and others like him to always be guided by this liberal disposition. Well articulated piece that has said it as it is.